One of my book groups met last night and it was really nice. We are a group of about 10 women, ranging in age from mid-30s to early-50s and we all have kids at the same elementary school: MUS. So, I guess I'll call us the MUS Moms. 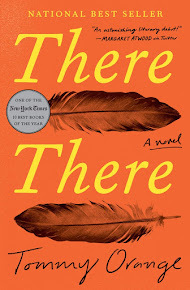 We always meet at Jamie's house every 6 weeks and we usually pick two books to read. I'll confess that I try to get the group to choose one book that I've already read so that I have a hope of reading the other one in amongst all the other reading we do. Also, we mostly read non-fiction, which is a nice change for me. This meeting included our holiday cookie exchange and boy do those cookies look yummy! 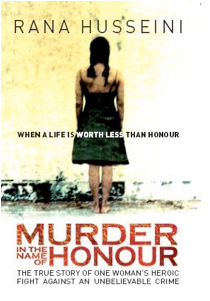 Our two books were: Rana Husseini's Murder in the The Name of Honor and David Sedaris' Me Talk Pretty One Day (sorry about the Amazon link). As usual, some of us had read both books, some one, and some none. But, we still have fun conversations about the books, issues they raise and life. Life always finds its way into our discussions! Our discussion of Murder in the Name of Honor stretched from religion to culture to "western" ideals and then we took off on the role of women in the United States and how women are portrayed in advertising. We all have daughters so that was very interesting to hear how we all feel about raising daughters and dealing with body-image. 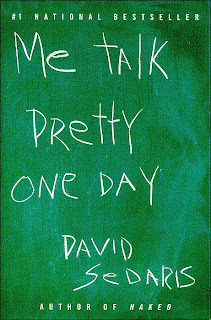 Me Talk Pretty One Day didn't create as much discussion though we all thought it was fun and funny. We especially liked the parts where Sedaris wrote about living in France.